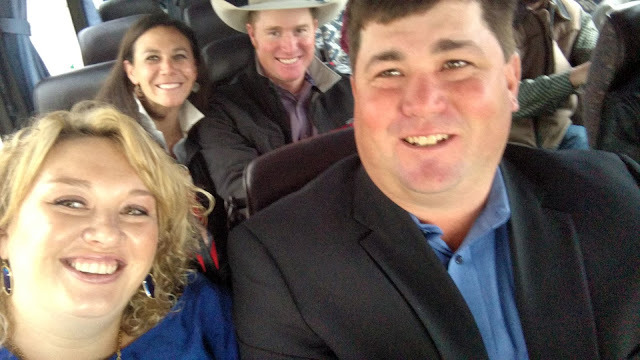 Last week we traveled to Overland Park, Kansas for the American Angus Assoc. Convention. 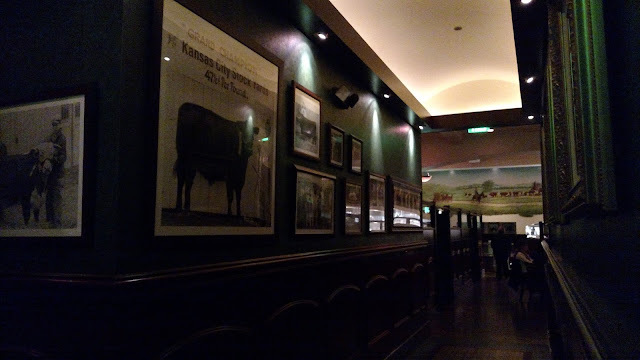 We were invited to go by friends Ryan & Amy Raymond, and were hosted by Zoetis. While we've been to other cattle conventions, this was our first Angus convention. 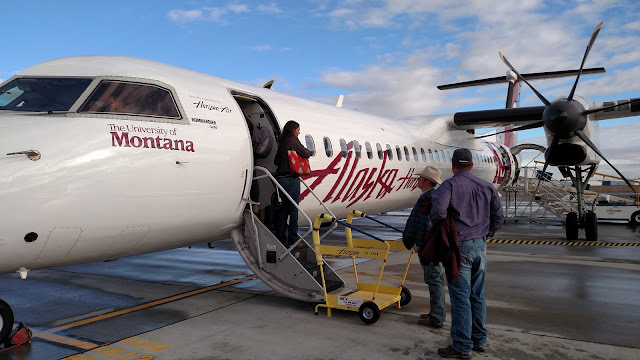 We left Pasco early Monday morning with Ryan & Amy, and then met Jason & Maxine in Seattle for our connecting flight. 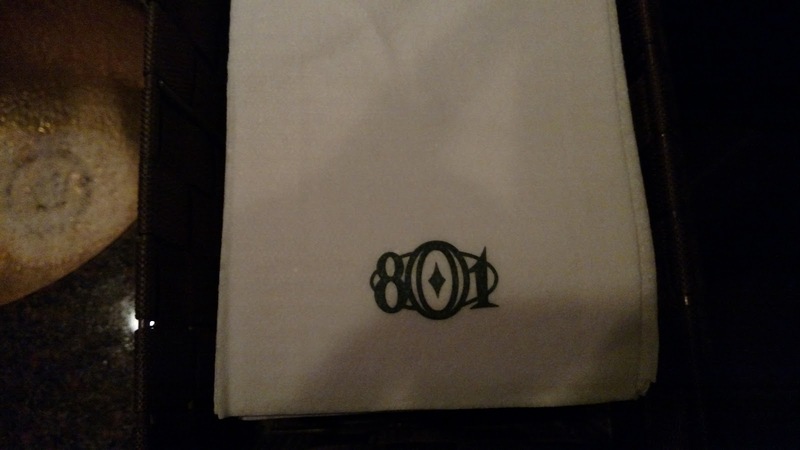 Later that night we'd meet Steve & Sandy Neff at the hotel before the eight of us went to dinner at the 801 Chophouse. 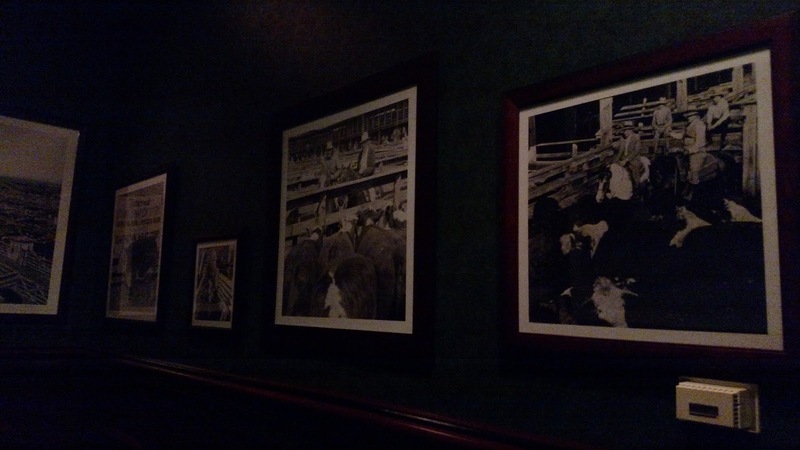 The walls of the 801 Chophouse were lined with historical cattle photos taken mostly from the Kansas City Stockyards. It was neat to look through them and see the evolution of cattle over the years. Plus - the dinner there was FANTASTIC! The next morning we loaded our shuttle bus and headed into the convention! The morning session was focused around genomics and was really an eye opener. The cattle industry is a player in the genomics game, but it was interesting to hear from a speaker in the poultry industry who really showed what a progressive user of genomics can accomplish in a few life cycles. Later that afternoon we attended two sessions hosted by Zoetis where we evaluated cattle based on phenotype (using clickers to see the groups decisions) and then compared evaluations of phenotype to evaluations of genomic data. The most exciting part of the night though was when they drew the winner of the Caterpillar Skidsteer - and Maxine got her name called! We almost couldn't believe it, but all rushed over to where the drawing was being held to watch. Four people got their name called, and then each drew a card that had a series of numbers on it. The new CAT skid steers have a pin code that has to be entered along with the key in order to start it (pretty cool security technology). One at a time, the four individuals got into the skid steer and tried their luck. Maxine was the 3rd person to try.....and HER CODE WAS THE WINNING CODE! After everyone came off of the high of Maxine winning, we headed to The Cheesecake Factory to celebrate with dessert & drinks! I celebrated with club soda. 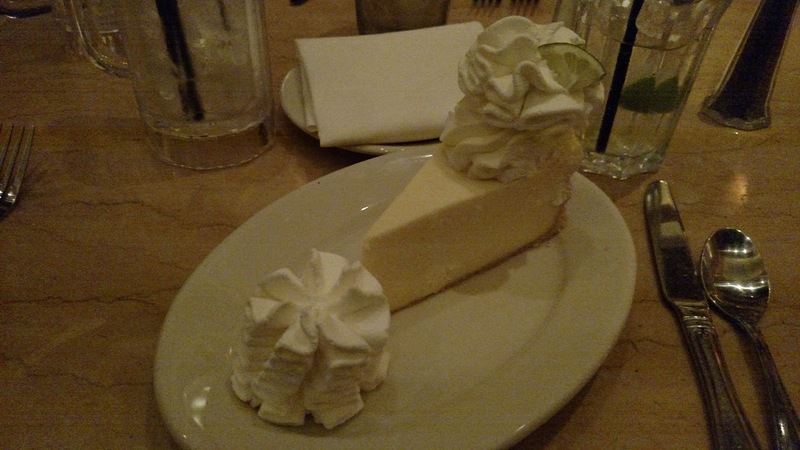 ;) AND key lime cheesecake! After an exciting first day, the second day was spent listening to the members running for the Board of Directors, followed by Ken Schmidt of the Harley Davidson brand. He had some really interesting points on marketing and some frank points on how to grow a brand. Did you know HD doesn't use the word customer? But instead calls them disciples? Or that they want to sell a "lifestyle" rather than products? And "Look At Me" is a powerful marketing concept. I think everyone in the room really enjoyed his key note. That afternoon we spent mingling through the tradeshow, and the guys recorded a few interviews with Genex in their booth. We sure love our friends at Genex! 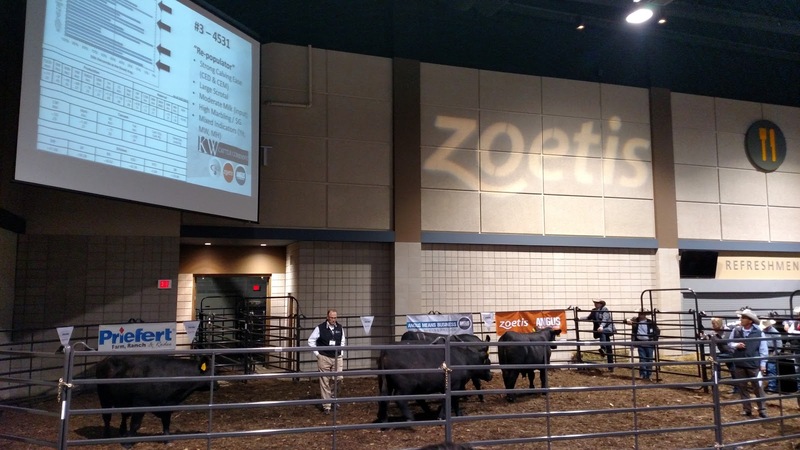 That afternoon we attended additional educational workshops, got our boots shined in the trade show and watched a few livestock handling pointers before enjoying a Jack's Stackhouse BBQ dinner and taking in Sammy Kershaw's concert that evening in the ballroom. The next morning while half of the group (Steve, Sandy, Jason & Maxine) flew home early in the morning, the rest of us slept in a bit and then headed back to the convention center for the elections and final hours in the tradeshow before we snapped a few pictures and headed to the airport ourselves. We owe a big thank you to Ryan & Amy for inviting us, and to Rollin' Rock and Zoetis for hosting us. It sincerely was a great trip - and also a nice little get away before the baby comes. I think by how active he was, that Baby Sexson enjoyed his first Angus convention too!